Walgreens (WBA) is now stocking Narcan at all of its more than 8,000 locations nationwide, the company announced Thursday. The nasal spray, which is an FDA-approved form of naloxone, can reverse the effects of an opioid overdose. The drug store chain said the move was "part of its comprehensive national plan to combat drug abuse" and help the communities it serves. "By stocking Narcan in all our pharmacies, we are making it easier for families and caregivers to help their loved ones by having it on hand in case it is needed," Walgreens group vice president of pharmacy Rick Gates said. "As a pharmacy we are committed to making Narcan more accessible in the communities we serve." Narcan is carried by emergency responders in many communities and is increasingly sold directly to drug users or their families. It can save the life of someone who overdosed on opioids, including prescription painkillers or heroin, if administered soon enough. The opioid epidemic now claims an average of 91 lives in the U.S. each day, and drug overdoses are the leading cause of death in Americans under the age of 50. Walgreens says the anti-opioid nasal spray will be available in the pharmacy section without a prescription in 45 states that allow it -- and that it's working with remaining states to make it widely available. 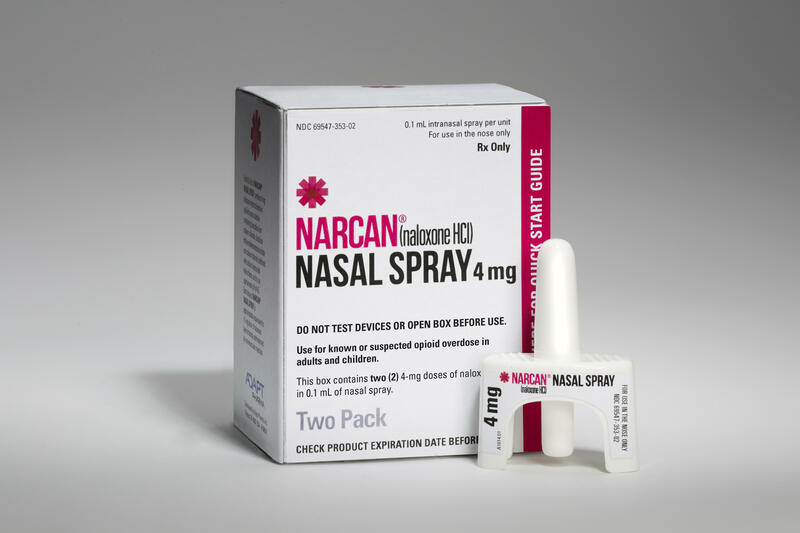 The CVS pharmacy chain also says it stocks Narcan at many of its locations. Walgreens said it will educate customers on how to administer Narcan, but points out that the nasal spray is not a substitute for seeking medical care. Thursday's announcement comes on the heels of President Trump declaring the opioid epidemic ravaging America a national public health emergency. He called the drug crisis a "national shame" and "human tragedy," but one the U.S. will "overcome." "Working together, we will defeat this opioid epidemic," Mr. Trump said, with first lady Melania Trump at his side. "It will be defeated. We will free our nation from the terrible affliction of drug abuse. And, yes, we will overcome addiction in America. We are going to overcome addiction in America. We have fought and won many battles and many wars before. And we will win again." The president's declaration of a national public health emergency falls short of what he promised in August, which was to declare the crisis a national emergency. Declaring the opioid epidemic a national public health emergency doesn't free up additional funds, or give the federal government as much leverage in addressing the crisis, as a national emergency would have. The president defied his own opioid commission, led by New Jersey Gov. Chris Christie, which had recommended declaring a national emergency. CBS News' Kathyrn Watson contributed to this report.